Would you like to grow some Mindapples in university? Seven universities have now taken up the Mindapples campaign by asking students to share their 5-a-days and promote good mental health for students. 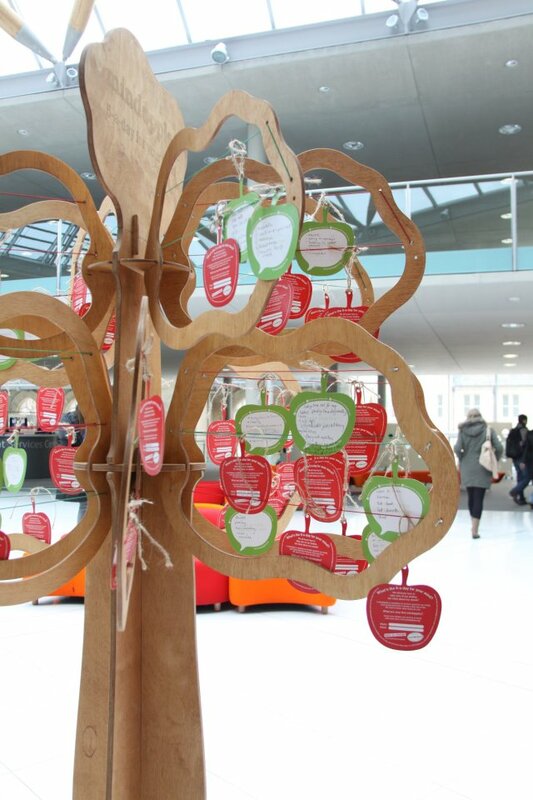 On the 22nd of February, mindapples sprouted in six universities around the UK as part of University Mental Health and Wellbeing Day, a new initiative started by the University Mental Health Advisers Network (UMHAN) to promote mental wellbeing and better support and self-care for students. We were delighted to provide mindapples for the University of Warwick, University of East Anglia, University of Exeter, Loughborough University, Nottingham Trent University, SOAS, as well as University of Bristol earlier in January. Mental health and resilience are important for students in particular as they encounter stress on a regular basis during exam periods, and live in situations that might be less stable than what they were previously used to, such as moving away from home and frequently changing accommodation. A recent study by the Royal College of Psychiatrists showed that many university counselling and mental health services are experiencing increased demand and are overstretched, highlighting the urgent need for a preventative approach. Overall the various events were a great success, with positive feedback both from students and staff, and we hope that next year’s Mental Health and Wellbeing Day will be even better with more universities getting involved. Thanks to all the universities that made and hired trees and harvested their mindapples, and thank you to everyone who took the time to share their 5-a-day. We really hope this is the start of a much bigger project by Mindapples to support the mental health of students around the UK. We want to put mindapples trees in every Freshers Fair in the country this Autumn, so if you would like to plant some mindapples at your university next year, please get in touch.